Did you know that President Donald Trump referred to Haiti as a “shithole” country only one day before Friday’s eight-year anniversary of the earthquake that ravaged the island nation, affecting about 3 million people? The Haitian government has condemned the president’s comments on Haiti and other countries as “shithole countries” and formally summoned an American official to explain them, Haiti’s ambassador to the U.S., Paul Altidor, informed NBC News contributor Yamiche Alcindor. “Haitians fought along U.S. soldiers in the Revolutionary War and we continue to be great contributors to the American society,” Altidor added. 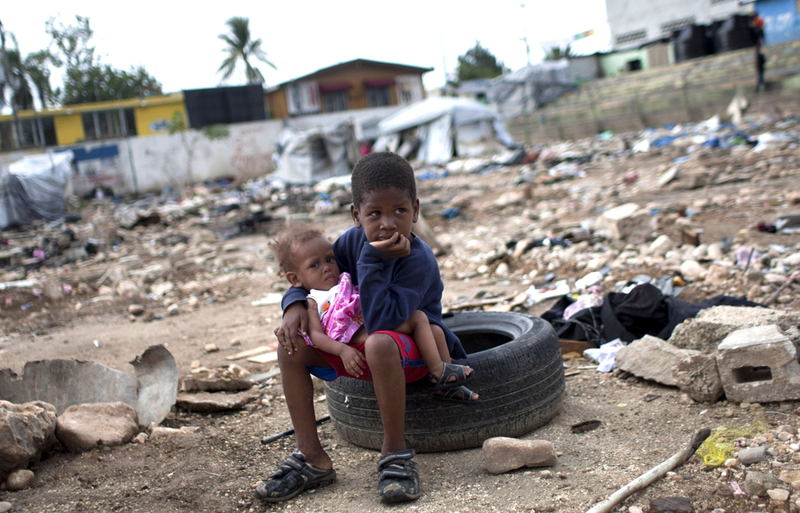 The 2010 Haiti earthquake was a catastrophic magnitude 7.0 MW earthquake. The earthquake occurred at 16:53 local time (21:53 GMT) on Tuesday, 12 January 2010. 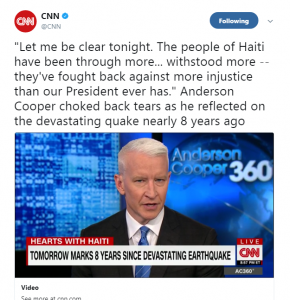 An estimated three million people were affected by the quake and about 300,000 people died according to the Haitian government. 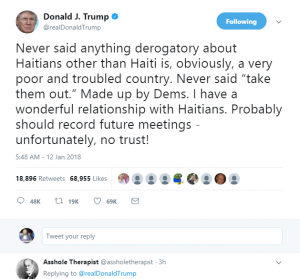 In November 2017, Trump announced that some 59,000 Haitians living in the U.S. under temporary status must leave within 18 months. 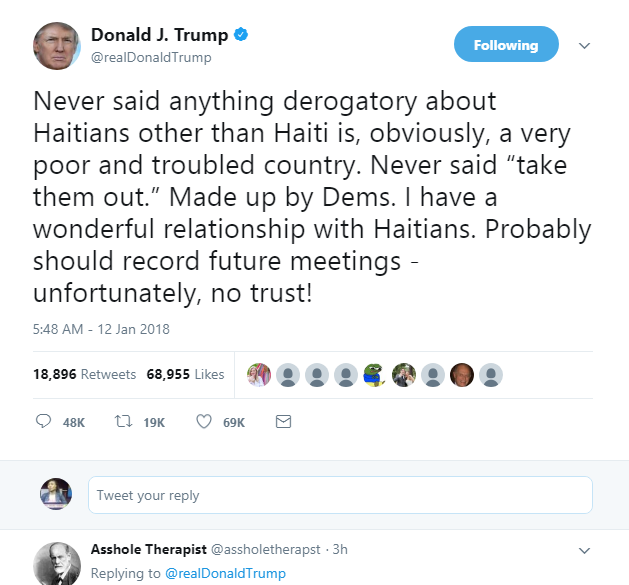 More than 30,000 of the Haitians affected by the order live in Florida, with another large concentration in New York City, according to the Washington Post. Haitians who entered the U.S. illegally have been protected against deportation since 2010 under a program known as Temporary Protected Status, which Congress created during the 1990s to avoid sending large numbers of people back to areas suffering from wars or natural disasters. On Friday, Trump denied he used the term “shithole” during the meeting. Will an African team ever win the FIFA World Cup?